Australia is being hit with terrible fires, and they’re so awful that I thought readers would find a list of resources on them useful. As a resident of California, no stranger to wild fires, my heart goes out to them. Readers might also be interested in a similar list I put together several years ago, The Best Sites To Learn About The Fires In Australia, as well as in A Compilation Of “The Best…” Lists About Natural Disasters. I also have previously posted The Best Sites To Learn About Australia (Australia Day is coming up later this month). Wildfires Rage Across Australia is a slideshow from The Wall Street Journal. Tasmania Bushfire Disaster is a slideshow from an Australian newspaper. Australian wildfires: interactive map is from The Guardian. ‘Red Wave’ Dust Storm Pounds Australia and appeared to be related to the heat wave. Wildfires Scorch Australia As Temperatures Reach Record Highs is a slideshow from TIME. Look How Scary the Australian Wildfires Have Become is from The Atlantic. 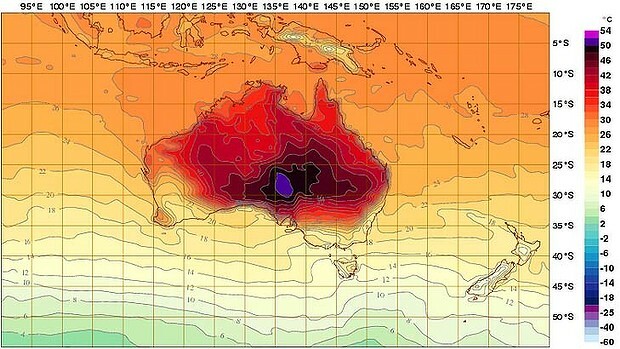 Australian Forecasters Add New Colors to Temperature Charts to Capture Record Heat is from The New York Times.